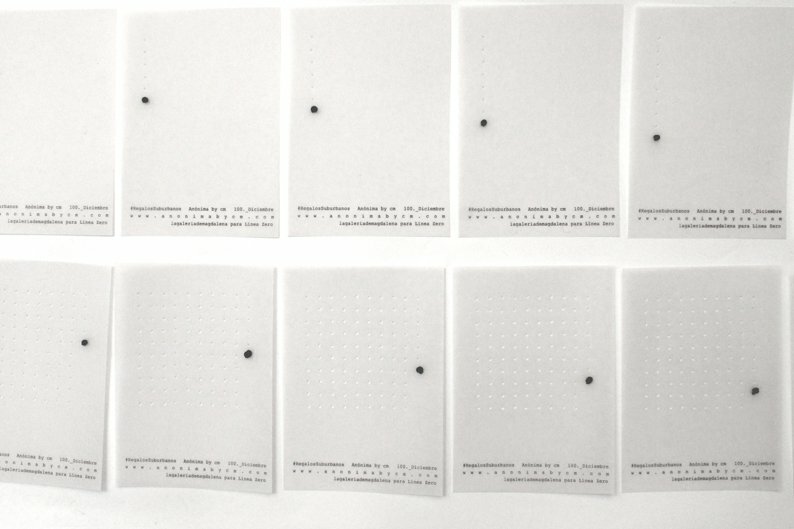 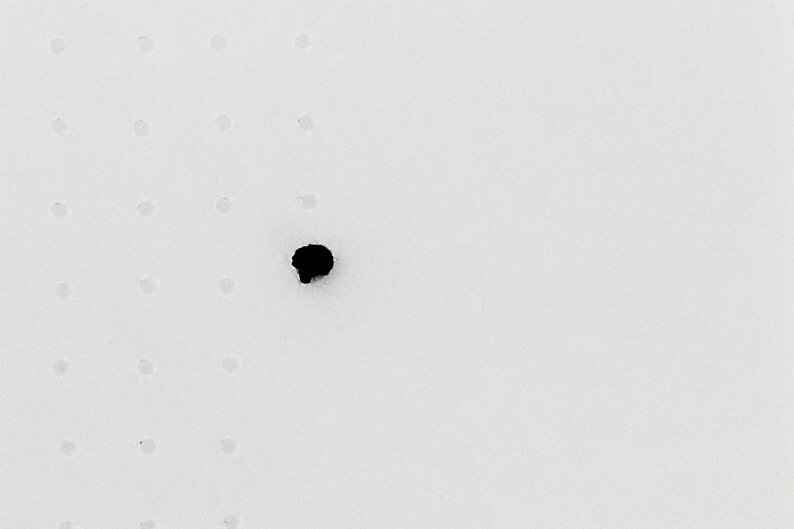 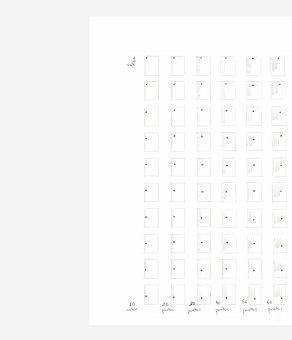 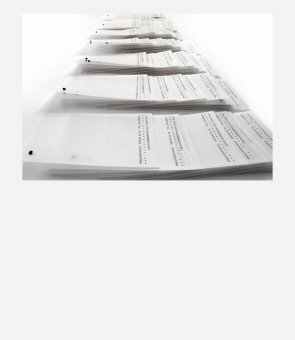 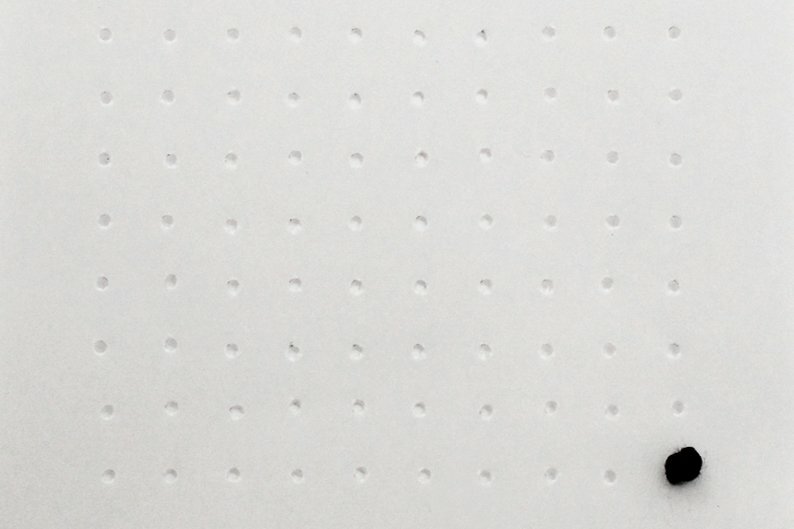 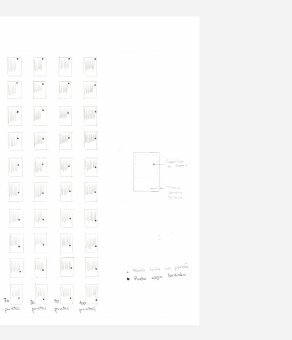 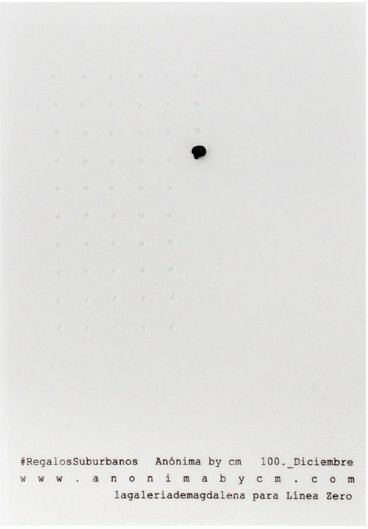 In this Series there are complete 100 dots marked by a punch. 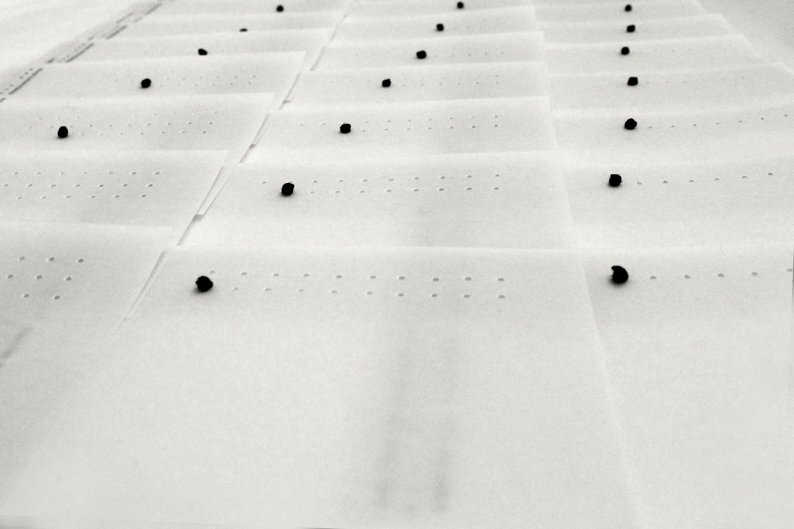 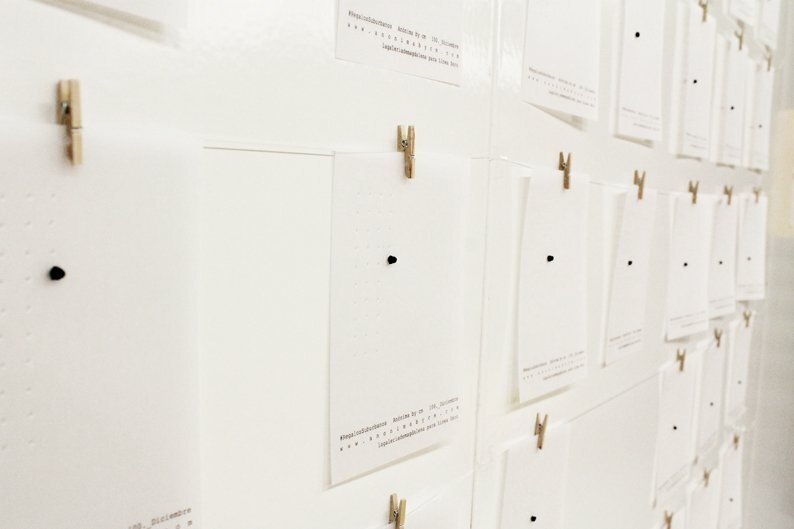 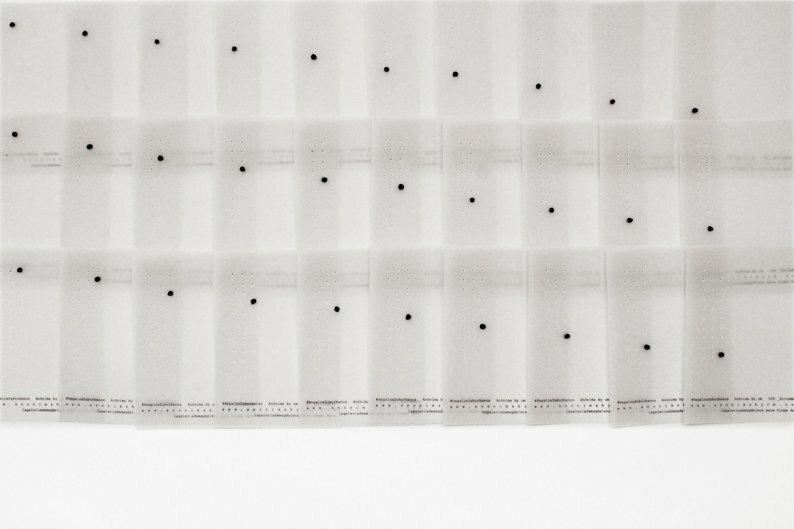 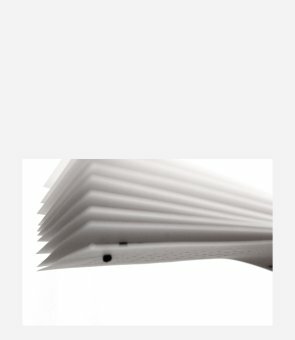 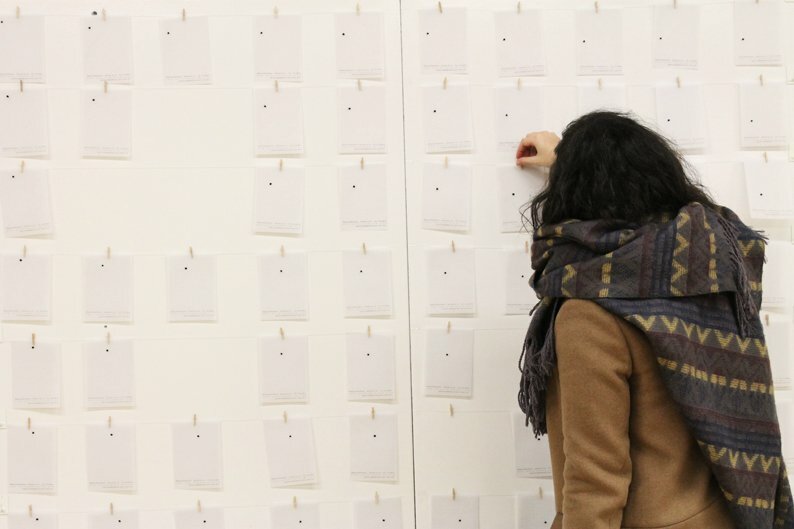 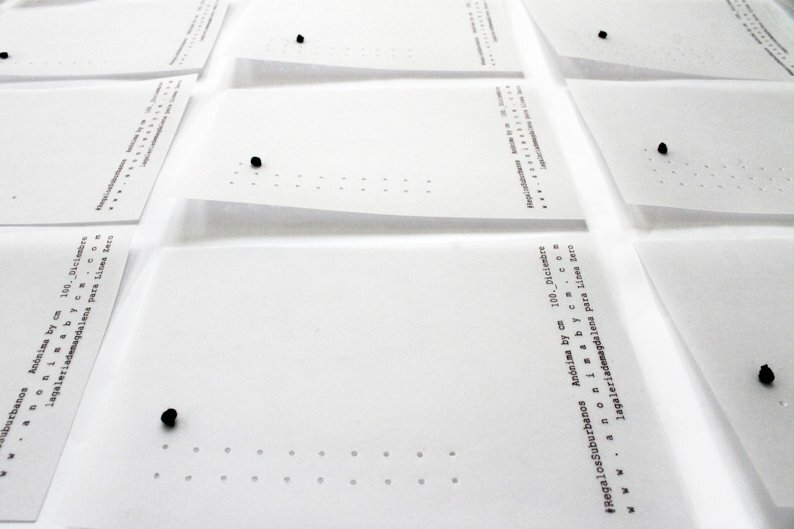 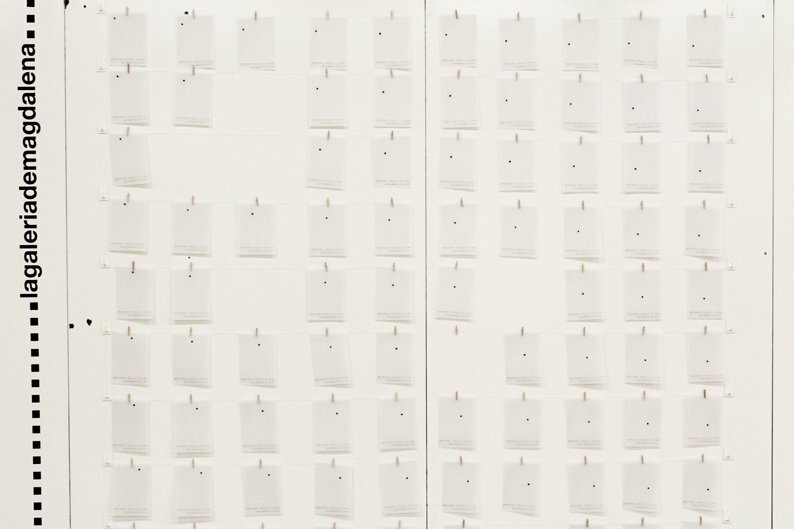 According with the number of each postcard, the dot which corresponds to that number is hand-embroidered with a black grain point. 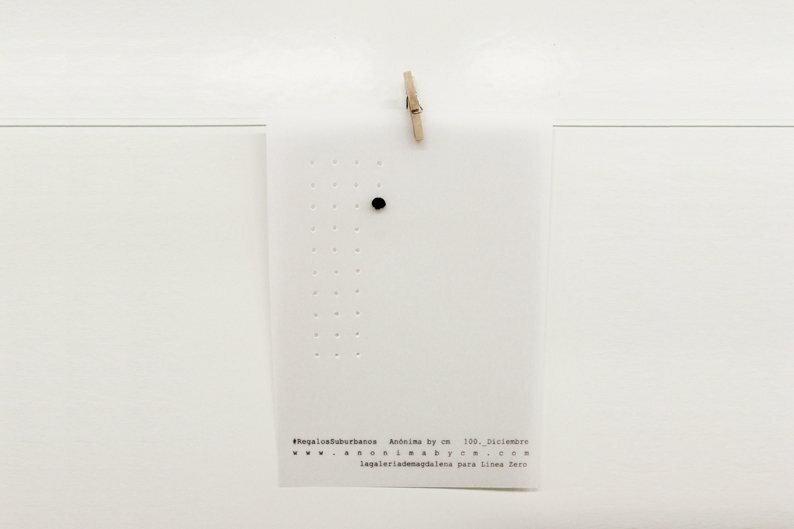 In this way, the hand-embroidered grain point will move forward while the number of the postcard also grows. 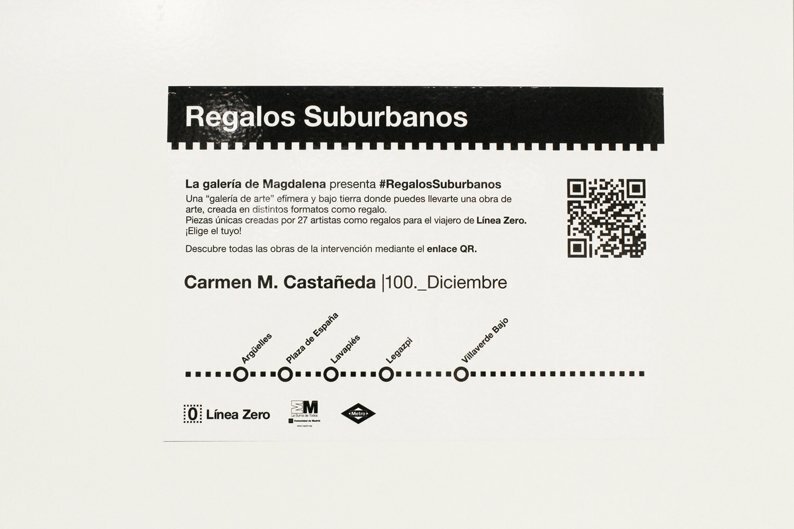 Project made for Línea Zero and laGaleríaMagdalena, at Metro Madrid. 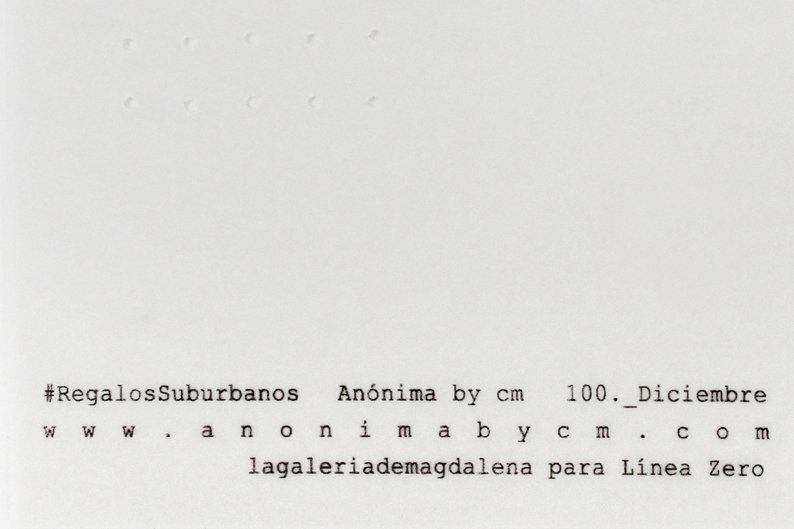 #regalossuburbanos where the passengers of the metro could take small pieces of art made by different artists.